When the hot summer rays hit New York City, endless summer entertainment opportunities both indoors and outdoors arise. Whether you're a local looking to escape the skyscraper maze in exchange for some outdoor festivities, or a tourist seeking electric New York summer fun, there are plenty of things to do in New York City during the warm summer months. With a New York CityPASS booklet, you not only get to see the city's best attractions, but you get to see them at your own pace, which means more room for in-between free summer concerts and refreshing ice cream. 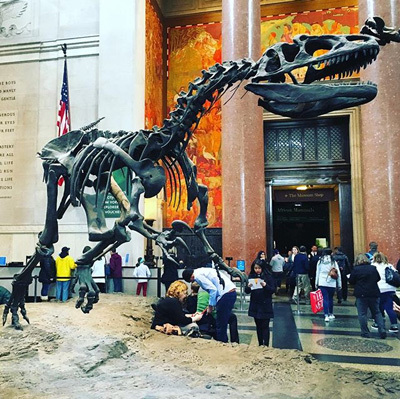 This wondrous museum makes for a memorable visit at any time of the year, filled with curious and awe-inspiring fossils, ceiling-high models of sea creatures, and the extraordinary story of human evolution. With world-class exhibits, spaces shows and films, there's something for everyone. For a taste of the great outdoors, check out the immersive cinematic experience of National Parks Adventure, filmed in more than 30 national parks across the country in celebration of the 100-year anniversary of the National Park Service. Robert Redford narrates as world-class mountaineer Conrad Anker, adventure photographer Max Lowe, and artist Rachel Pohl hike, climb, and explore their way across America's spectacular wilderness vistas. Another must-see at AMNH: the new Titanosaur, added to the museum's collection in January 2016 and so new that it has not yet been formally named by paleontologists. It's an astounding 122 feet long—so long that its neck and head extend out towards the elevator banks, welcoming you to the "dinosaur" floor. 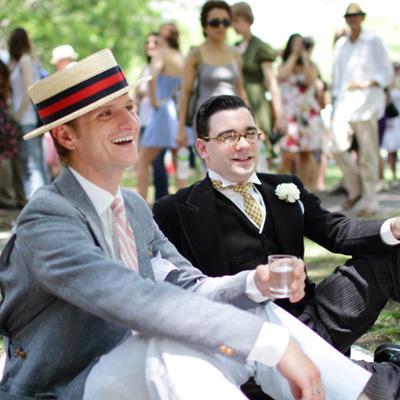 We humans may not have figured out time travel yet, but summer in New York offers the second best thing: a time-hop into the 20's with a Jazz Age Lawn Party. Talk about a swingin' summer! Join thousands of others as you dress in your best 20's getup and dance the night away with classic jazz from Michael Arenalla and the Dreamland Orchestra. The nostalgic festival takes place August 13th and 14th, and will host several era-appropriate vendors so you can purchase a fedora, derby, or flapper dress and dance in themed garb. Experience New York in a time where extravagant parties were the norm at this fun and fabulous event. Get your tickets here. No matter what time of year it is, you can't say you've been to New York unless you've had a first-hand look at the Statue of Liberty. No photograph can capture the beauty of one of the country's most iconic landmarks. In the summer, you can see the waters and skyline more clearly than ever, and you won't want to pass up the opportunity to see the historic Ellis Island, where between the years of 1892 and 1924, more than 25 million immigrants passed through on the way to making the the United States their new home. 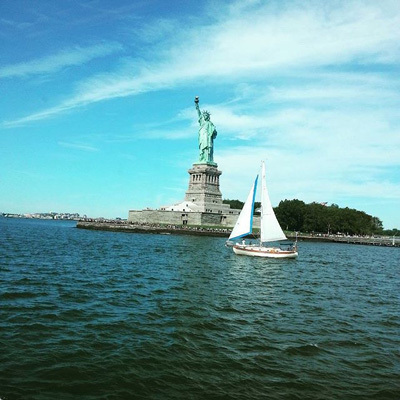 This is an experience best reserved for the warm summer months, and the beauty of the islands and the Statue of Liberty alone will be well worth the trip. If you're a movie buff but don't want to spend the refreshing summer months cramped inside an over-air-conditioned theatre, then see a film high in the sky on the roofs of New York City's most prominent buildings. 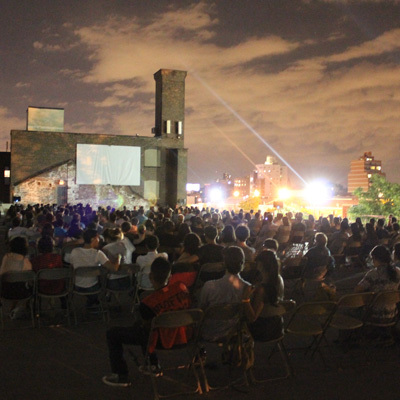 Rooftop Films hosts a summer series full of unique independent films, documentaries, director Q&A's, and awesome after-parties. Events travel from roof to roof, so buy your ticket today at www.rooftopfilms.com. You don't have to be a Top Gun pilot to see remarkable aircraft up close, nor do you have to be a deep sea explorer to maneuver through an interactive submarine. 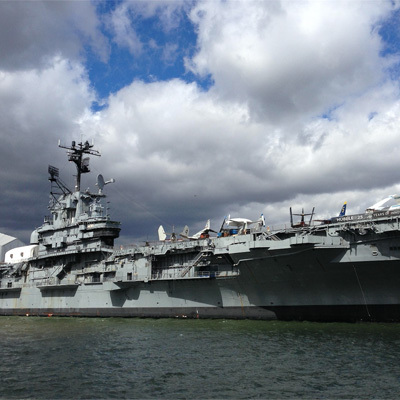 At the Intrepid Sea, Air, & Space Museum, you'll learn about some of history's most remarkable adventures into the sea, sky, and space as you explore some of the world's most innovative and action-worthy machines. And in the summer months, the museum has a calendar chock-full of amazing and family-friendly activities that are free to join and only require advanced registration. On August 6th and 7th, the museum will host Splashdown!, a workshop that teaches attendees about Intrepid's role in the Space Race. Or, join Intrepid for a family astronomy night and learn about space travel while you gaze at the bright stars above. 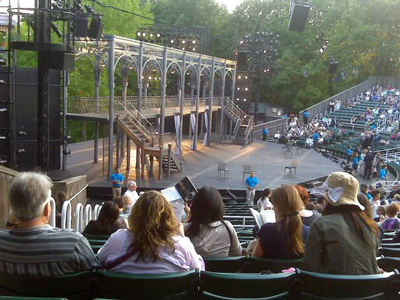 To be in New York for Shakespeare in the Park, or not to be in New York for Shakespeare in the Park? That is the question. We say, why not see a classic tale of Shakespeare in the heart of New York City, and better yet, why not see it if the tickets are free? Running from July 19 through August 14, this summer's Shakespeare in the Park will cast a contemporary light on Troilus and Cressida, the funny and dramatic story of war, love, and revenge. Join the crowd in this entertaining performance that will give you a whole new perspective on the Shakespeare you read in high school. 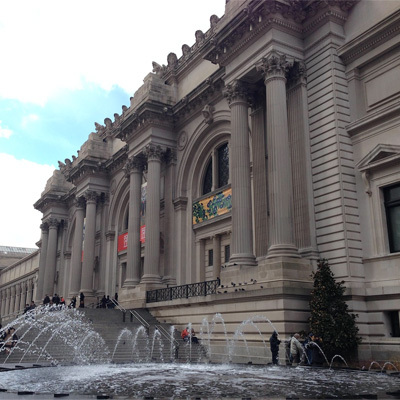 New York's Met is recognized across the globe, but the summer events make this classic attraction even more attractive. Melt into art appreciation with the Manus X Machina fashion exhibition, which showcases 170 ensembles from the beginning of the 20th century. Infusing timeless design with evolving technology, it compares and contrasts the fashions made by human hands with those made possible by the invention and continuing innovation of the sewing machine. Spend part of your summer with your artistic side--and don't forget to see the rest of the Met's wonderful exhibits! If your plans are pointing to New York this summer, make the most of your trip by taking a long a New York CityPASS. Experience the city's most popular attractions, and set the pace for your own NYC adventure with the city's limitless supply of summer concerts, plays, films, dance parties, and more—there's never a dull moment in New York.